The Immersive Reality Suite, in Islington, offers a fully interactive space, perfect for meetings, events and private demonstrations. Located within the Business Design Centre, one of London’s most popular conference and exhibition venues, the suite is 10 minutes from Kings Cross St. Pancras International and a short walk from Angel tube station. We have both our creative studio and technical team based on site. 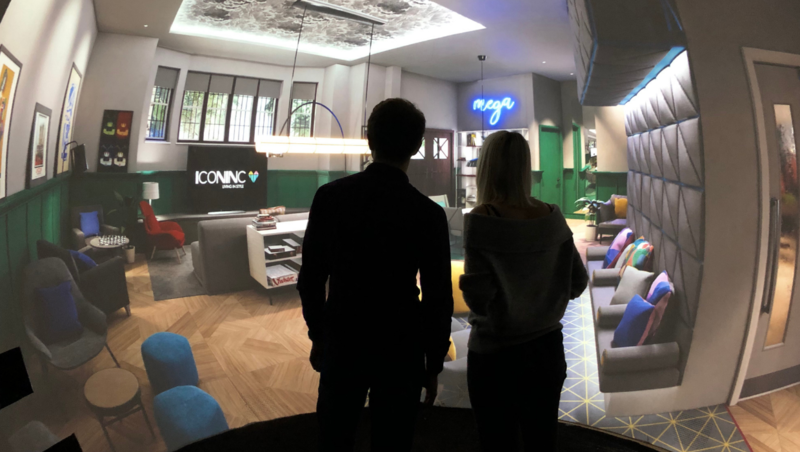 The suite comes equipped with the latest in virtual and augmented reality and featuring our 4m walk-in Reality Portal™ for shared immersion experiences. Further meeting rooms available on request from the Business Design Centre. Rates begin at £850 half day hire, and £1,500 full day hire.